Gluten is often equated with the proteins of the wheat that are insoluble in water. It is a fact that glutenin and gliadin are the main constituents of gluten in terms of quantity and determine its basic character. But smaller components such as lipids or pentosans are firmly and in some cases even covalently bonded to the gluten and have a corresponding influence on its properties. Commercial gluten (dried vital wheat gluten) also contains starch and minerals that cannot be completely removed by aqueous extraction. That is why dried gluten only contains about 80% protein. 2. Is there a connection between the quality of the protein and its chemical structure? The baking properties of wheat flour depend to a large extent on the amount of protein, the ratio of gliadin to glutenin and the properties of the latter, especially the disulphide bridges. 3. How are proteins and gluten determined analytically? Protein in wheat flour can be determined chemically by the Kjeldahl method, but the procedure is very complex. A simpler method is to use a modern analytical system that works according to the Dumas method. 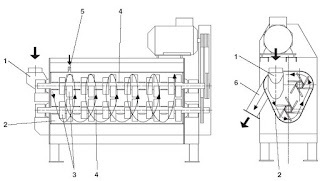 The indirect test by near-infrared spectroscopy (NIR) is very widely used in the milling industry. If calibration is carried out carefully, near-infrared transmission (NIT) also yields very precise results. 4. What effect do the proteins of the gluten and added vital wheat gluten have on water absorption? The water absorption capacity of native gluten is about 2.5-3 times its dry weight, i.e. a flour with 10% protein will result in approx. 25% wet gluten although not all of the protein ends up in the wet gluten. 5. What effect does the addition of vital wheat gluten have on the rheological properties of dough? Dry vital wheat gluten has a rather short gluten structure, so it reduces the extensibility of the dough and increases its resistance to extension. The energy input (area under the curve of the Alveogram and the Extensogram) does not necessarily increase. In the Farinograph the curve will be broader, with better stability and less softening. 6. How do the proteins of the gluten affect the shelf-life of the bread? 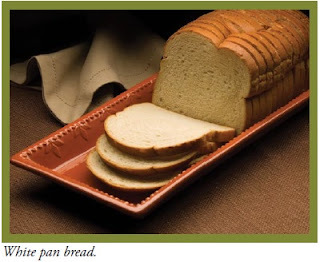 Gluten increases the water absorption of the dough and the bread, and it improves the volume yield and crumb structure. So gluten also enhances the softness of the crumb and its ability to stay soft. Baked goods that are meant to stay crisp after baking (German breakfast rolls, French baguettes) should not contain too much protein because it will soften the crust too soon. 7. What importance do the wheat proteins have for the production of cake doughs and wafer batters? In most cases cake is a foam in which protein is a structural component. Too much protein makes the structure rubbery. Many recipes therefore contain starch, which results in a shorter bite. For wafer batter, a low protein content is useful because it reduces the tendency to form gluten lumps. Furthermore, lower protein results in soft-melting wafers. On the other hand, higher protein levels can be used to produce very stable and crisp wafers (e.g. for ice cream cones) with reduced permeability for water. In this case, proteolytic enzymes should be used to avoid lump formation in the batter. 8. How does wheat gluten react with flour improvers and baking agents? When vital wheat gluten is added, oxidation should be reduced because the dry gluten already has a short structure. Sometimes it is even useful to add softening agents (cysteine, protease). Emulsifiers have at least and additive if not synergistic effect on the improving function of wheat gluten. 9. Is it possible to increase or reduce the gluten content without adding dried gluten? There seem to be some additives with the potential to improve the swelling of protein. Of these, fungal proteases are mentioned most often. 10. Can I use flour with 12% protein as biscuit, cracker or wafer flour? Although flour with less than 10% protein is preferable for many biscuits, crackers and wafers, it is nevertheless possible in many cases to obtain good products with a higher protein level. If gluten formation occurs in the course of the processing, sufficient softening will be required, e.g. by reducing agents or enzymes. In the case of wafers the protein has to be destroyed in order to avoid lumping. An increased protein level then results in products with a firmer texture which are less prone to breakage and water migration. The use of starch to dilute the protein is only necessary if a very soft-melting texture is desired. 11. Does an increase in the gluten content of a bread mix always result in improved volume yield? The addition of dry vital wheat gluten results in a strengthening of the dough and increased water absorption (about 1.5 times the amount of added gluten). Gluten generally improves the tolerance of the dough and its gas holding capacity, and therefore increases the volume yield. 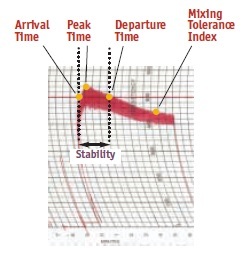 But if the dough is too stiff for the chosen processing method, the volume yield will in fact decrease. 12. Should a flour mill be able to offer gluten free mixes too? Any mill processing wheat, rye or barley would have substansial difficulty in making gluten free products, because the whole mill is contaminated with gluten traces. The actual limit for “gluten-free” is 20 ppm in many countries. “Gluten-reduced” is the term for gluten levels below 200 ppm. 20 ppm gluten is equivalent to 0.02 g of wheat flour in 1 kg of mix, a quantity that can easily result from cross-contamination or residues in the plant. The production of gluten-free goods should therefore be reserved for specialists, e.g. rice mills or mixing companies with a near-pharmaceutical hygiene level. 13. Why are there different factors for protein for food and feed wheat? Methods such as protein determination after kjedahl ascertain the nitrogen content of a sample. If the normal nitrogen content of the protein to be determined is known ( e.g. from the literature), the nitrogen content found by analysis is multiplied by the reciprocal of the known quantity in order to calculate the actual protein content. For wheat this factor is 5.7, corresponding to 17.5% nitrogen in the protein. For composite foods, proteins of unknown origin and also for nutritional purposes (human and animal) the crude protein is calculated. In this case a factor of 6.25 (corresponding to 16% nitrogen) is used. The latter is being used more and more often to avoid confusing people who are not experts.